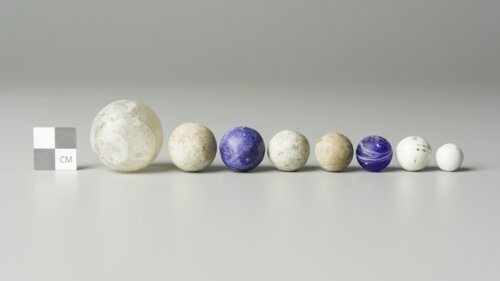 These marbles were excavated from Fort Hays in Ellis County in 1966. They are made of clay and glass and represent hours of fun at the fort. Fort Hays was added to the National Register of Historic Places in 1971.